As a CEO, Musk is inspiring. As a competitor, Musk is intimidating. And as a human being, Musk is reassuring. Just knowing that somewhere in California, Musk is hunkered down in a cubicle, planning for our future (be it martian settlements, hyperloops, or zero-carbon transport) is, in an odd way, comforting. And it’s why, for the last few weeks, I haven’t been able to stop smiling. From afar, I’ve watched Musk take on industry after industry. Banking. Energy. Automobiles. Space travel. He’s not somebody I’ve ever had the pleasure of calling my peer — but that all changed last month when Elon Musk announced he was getting into my business. The trucking business. That’s a quote from the CEO of an American trucking startup. I found the quote strange when I read it. After all, trucking is one of America’s biggest industries. There are more than 8 million trucks on the road. They travel 100 billion miles (~160 billion km) a year, carrying $800 billion in cargo. 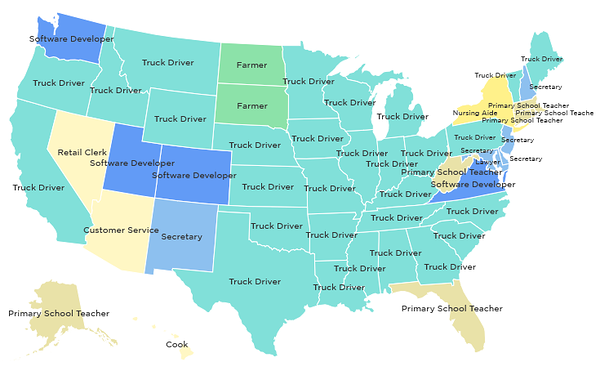 Driving a truck is the most common job in the whole USA. Trucking is just as important in Europe. Trucks here travel 80 billion miles (~132 billion km) a year, carrying cargo worth €300 billion. Yet despite its size, the global trucking industry is backward, bloated, and inefficient. It’s one of the last industries to be “disrupted” by technology. Now, the industry is undergoing rapid change on multiple fronts at once. For one, you have self-driving trucks. Uber recently bought Otto, a self-driving trucking startup, for $680 million. Otto (which was founded by ex-Googlers) makes kits that help big-rig trucks drive on highways without assistance. Otto’s acquisition is significant, not just because it will help Uber begin shipping freight — but because it indicates millions of truck drivers might soon have to compete with robots. How soon? It’s hard to tell. Otto only works on highways for now, which means that a human copilot still has to be present for the whole journey. But between Ford, GM, Tesla, Google, Uber, Apple and more all making their own self-driving gambits, a fully self-driving truck might only be 5 years away. Photo courtesy of Daimler. Those shoes sure look like a trucker’s! Autonomous fleets will also be good for the environment, since they’ll make “platooning” possible. Platooning is when multiple vehicles travel in packs to avoid headwinds (much like a bicycle squad at the Tour de France.) Truck platooning, however, is relatively new: since it requires tailgating at distances too short for human reaction times, it is only safe to do with computer-coordinated trucks. An autonomous fleet recently successfully platooned from Stuttgart to Rotterdam. Which means platooning is not just a fuel-efficient way to transport cargo. It is almost a reality! Nevertheless, self-driving trucks won’t solve the problem of pollution entirely. But that’s where Elon Musk comes in. Next up, you have electric trucks. Electric trucks are even more interesting than electric cars. Trucks, while accounting for just 1% of all traffic in the USA, account for 28% of pollution. Electrifying the industry would be an enormous environmental coup — to the tune of about 12 tons of CO2 per year, per truck. That’s exactly what Elon Musk wants to do now. 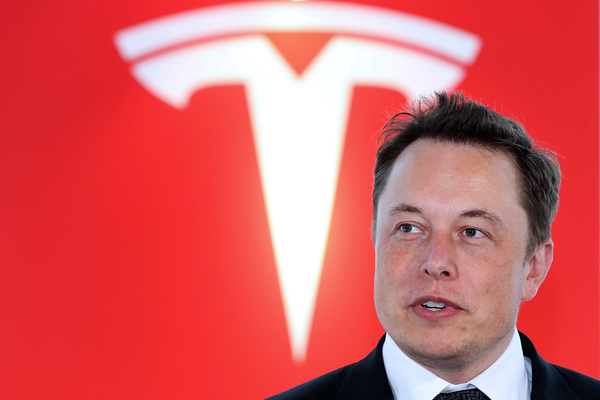 He claims that Tesla will be unveiling a heavy-duty electric truck in the next year. This is a huge deal! In fact, Tesla trucks might even end up being a bigger deal than Tesla consumer vehicles. Consider the fact that the premium for an electric car right now is about $15,000. For a family whose household car only burns 600 gallons of fuel a year, at ~$3/gallon (about $1,800 in fuel a year) it would take more than 8 years to make up the difference. 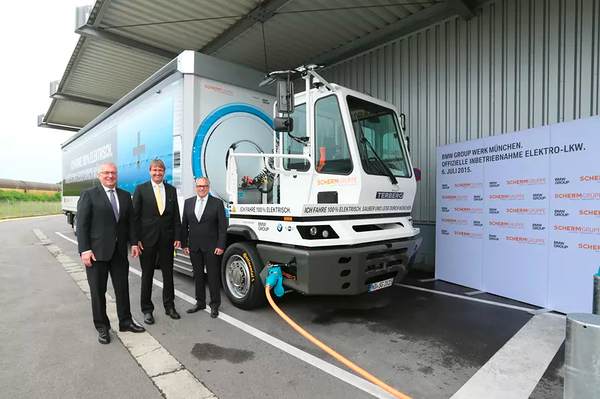 A heavy-duty electric truck is even more expensive, but since trucks burn massive amounts of fuel (and are on the road 10–11 hours a day), an electric version would make up the fuel savings in just a few years. So, not only would a Tesla Semi be great for the environment… but it might end up being a much better bargain for truckers than the Model S is for car drivers! However, getting widespread adoption won’t be easy. Hauling cargo requires enormous amounts of energy, and right now, electric truck batteries are very, very heavy, and very, very expensive. It will still take at least a few years of R&D before Tesla’s battery costs come down enough to make their trucks a viable option for the average owner-operator. Moreover, Tesla faces steep competition from the likes of Wrightspeed (founded by an ex-Tesla cofounder), Nikola (no relation to Tesla! ), and Mercedes. The trucks also won’t be roadworthy until 2020… at the earliest. Between self-driving tech and electric batteries, there’s a lot to look forward to in the next 5–10 years of trucking. But is there anything we can look forward to right now? Finally, there is the issue of empty trucks. Did you know that about 25% of trucks on the road right now are currently empty? It’s one of the most regrettable market inefficiencies in the world — both in terms of money, and in terms of pollution. Why are so many trucks travelling empty? 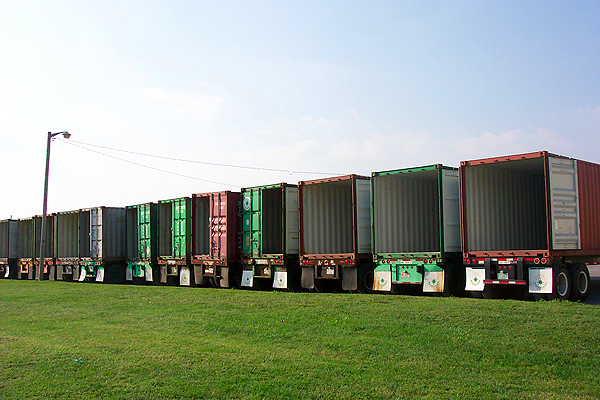 There’s no easy way for trucks to find cargo. Truck companies are notoriously fragmented — the vast majority of owner-operators only operate a couple of trucks. Once they drop off their initial load, they can’t easily find a load for their return trip home. Of course, there are freight brokers (people who act as middlemen between shippers and carriers), but they are both expensive, and inefficient. They help shippers find empty space on nearby trucks, but the process is usually done via paper and phone, and the results are less-than-desirable. Brokers have imperfect information on where the closest trucks and cargos are, so they often ask truckers to travel needlessly far to pick up their next load. One industry expert estimates that they contribute to over 19 billion needless miles a year (30 billion km) — and that’s just in the USA. The situation is even worse in Europe (where I’m from) where language barriers and byzantine cross-border regulations make it even harder to coordinate between trucking companies. Thankfully, things are getting a bit better, with the recent introduction of electronic consignment notes, which mean that every piece of cargo will be logged in a real-time database. Now, it’s just a matter of taking that data, and doing something with it. The trucking industry is changing, radically. Hardware, like self-driving LIDAR and electric batteries, are going to revolutionize everything we thought we knew about logistics. Software, like Palleter, is going to help shippers and carriers cut costs and reduce emissions. But these are just some of the exciting developments happening in the trucking industry… they sure aren’t the last. Or even the best ones. While I can’t speak for my colleague from Stanford, now is the perfect time to revolutionize trucks. It’s one of the few industries that not only holds the promise of immense riches, but of making a positive environmental impact. So it’s probably a good time to mention that we’re looking for smart engineers… if you know one, send them our way!